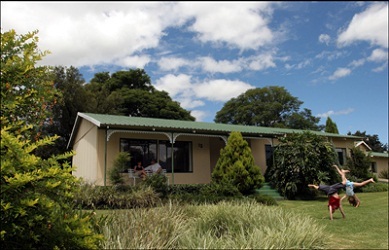 ATKV Drakensville Holiday Resort is a 3 star property in Oliviershoek (Drakensberg, Kwazulu Natal) that offers accommodation in bed and breakfast rooms, self-catering flats, self-catering houses and camping or caravanning. This Drakensberg offers many things to see and do in and around the area including hiking, mountain biking, tubing, canoeing, river rafting, sleeping in a cave for the night, horse riding, quad biking, 4x4 trails, trips up the Sani Pass, abseiling, bird watching, Falcon Ridge Birds of Prey Centre, kloofing, hot air ballooning, trout fishing and kayaking. This 3 star property offers accommodation in bed and breakfast bedrooms that all come fully equipped with en-suite bathroom, complimentary toiletries, TV (DSTV) and single or double beds. The self-catering flats come with one bedroom, single or double beds, open plan kitchen, en-suite bathroom, fridge/freezer, stove, microwave and TV (DSTV). The 6 sleeper self-catering houses offer three bedrooms, one bathroom, four single beds and one double bed, lounge, kitchen and dining room. The 4 sleeper self-catering houses offer two bedrooms, one bathroom, two single beds and one double bed, open plan lounge and kitchen. 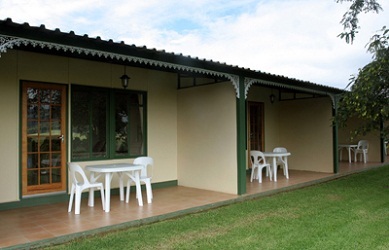 The caravan park offers 80 stands with electricity, braai facilities and 2 ablution blocks. ATKV Drakensville also offers conferencing for up to 800 delegates, two heated swimming pools, one outdoor swimming pool, putt putt, volleyball, squash, horse riding, snooker, hiking, games room, lapa and animal farm. Cancellations longer than 30 days before the date of arrival will forfeit 25% of the required deposit. Cancellations between 16 to 29 days of the date of arrival will forfeit 50% of the required deposit. Cancellations between 0 to 15 days of the date of arrival will forfeit 100% of the required deposit. In the event of cancellation as a result of death (or other acceptable reasons beyond the control of the party involved) only an administration fee of R61 will be charged upon submission of substantiating evidence. With our first visit in 2006, the Flats did not have a built-in braai, no warm indoor swimming pools, no super tube. I enjoyed a Mothersday buffet in 2011 at the restaurant, swim in the indoor swimming pool. With our return in May 2013, we enjoyed the built-in braai. The indoor swimming pool is now accessible from inside the resort, we could see the snow on the mountains from the pool! As always with ATKV resorts, very clean facilities and friendly Staff. Bought pancakes to make up for the cold! 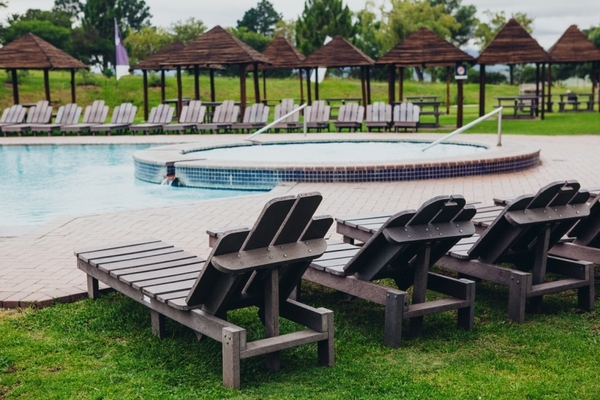 Add your guest book entry for ATKV Drakensville Holiday Resort.